I was inspired to write this article by Mr. Stewart, who asked some excellent questions and had some interesting observations about the follow through during some email exchanges we had. 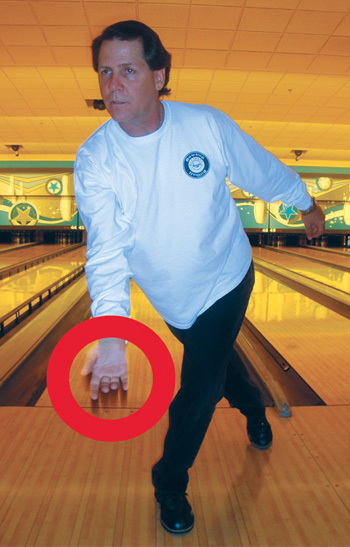 As with every other part of the sport of bowling, there are some dos and don’ts. There are also some unique things that come from the follow through. 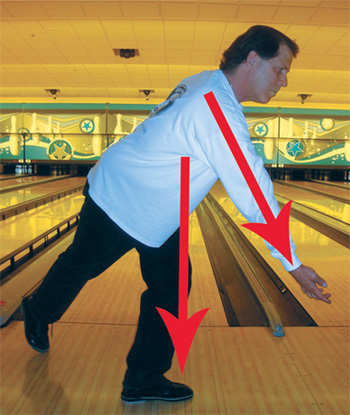 You can actually identify certain characteristics of a follow through and link them directly to a particular bowling style. So, let’s start with the one of the common ‘looks’ of a follow through that a vast majority of successful bowlers possess. All great players who have achieved tremendous success on the lanes have certain things in common. One of those things is the extension part of the follow through as shown in the photo labeled “Extension.” While looking at the photo, you will notice that there are two arrows. The center of the back is over the knee and over the ball of the slide foot. The right hip is back and not under the body. First, copy the position that you see in the photo to the best of your ability and swing your bowling arm back and forth. If you are doing this properly, you will not feel any uncomfortable restriction in the arm as you swing. Next, move your upper body back slightly and try to again swing your arm back and forth. As you do this, you will have the uncomfortable feeling of the muscles tightening on the back of your arm. Now, move your upper body too far forward and swing your arm back and forth. You will get an uncomfortable feeling as the arm travels forward instead of as it travels back as in #2.